Hi there! 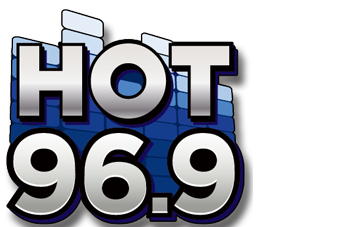 I’m Melissa from the Getup Crew on Hot 96.9. I’m excited for you to follow my journey with Planet Fitness as I continue to get in shape. Last year, I lost 35 pounds with a strict diet and now, I’m making working out more of a priority. I’m NO expert by any means and I have a long way to go before reaching my goals, but I know with Planet Fitness in my corner, anything is possible. Melissa is getting ready for the Boston Marathon. Check our her video below! Planet Fitness and HOT 96.9 want to help get your ready for your summer beach body! Take our quiz to find out which workout you should try!! Check out what Melissa is listening to when she works out at Planet Fitness this spring! No matter what you’re looking for in a gym, they've got a membership option made for you. All Planet Fitness members enjoy unlimited access to their home club and the support of their friendly, knowledgeable staff anytime you need it. PF Black Card® members receive additional benefits, including the ability to bring a guest for free and access to any of their 1,400+ PF locations. CLICK HERE TO FIND YOUR CLOSEST PLANET FITNESS LOCATION.